American super model Tricia Campbell says body shaming and bullying is real in the society including in the United States and South Africa, Campbell was speaking at an event to recognize curvybody beauty pageants. A total number of 15 top finalists showcased their curvy bodies in front of the media in Rivonia, Johannesburg on 24 November. Campbell who is in South Africa to support the Ms Curvybody SA initiative to #NoToBodyShaming said she met the CEO through social media. “I saw their Ms Curvybody SA on Instagram and I immediately contacted them. “Body shaming and bullying is real and on several occasion, I have been told or given bad names especially when I was growing up as a teenager,” she said. Campbell who has worked closely with Oprah Winfrey on different projects over the years said it time for funders to spend money in motivating and lifting people especially curvy women who have always been left behind. “If the doors for sponsorship are not opening, we will push and force them to open. It is time for curvy women be celebrated and appreciated,” she said. Ms Curvybody SA marketing director, Naniwe Maqetuka said it was a great honour for the international celebrity to motivate and train our top 15 finalists on how to pose and walk the runway. Curvybody SA CEO Mapule Mphaki said Ms Curvybody SA has been taking a leading role in encouraging people to live a healthy life style. She says the organisation does not promote obesity rather a healthy lifestyle. 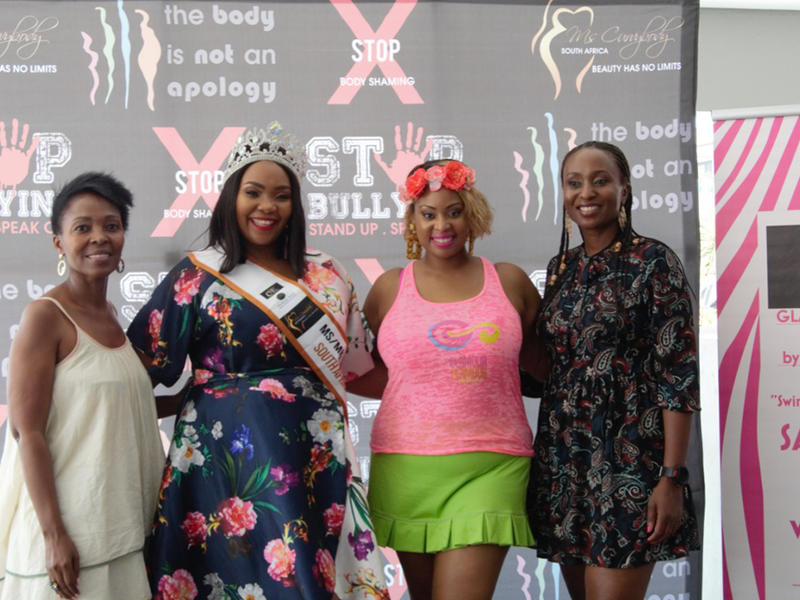 Curvybody SA CEO Mapule Mphaki, the current Ms Curvybody SA Nokuthula Thanda, the USA supermodel Tricia Campbell and Ms Curvybody SA marketing director, Naniwe Maqetuka.